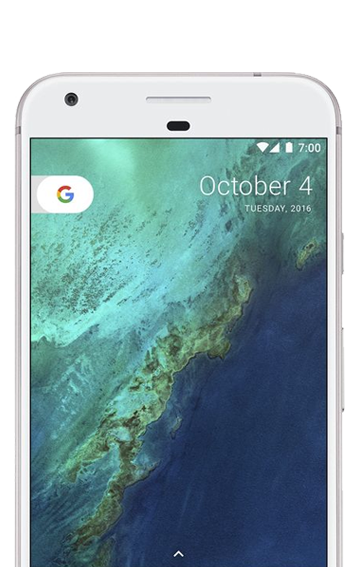 Widely regarded as the best Android phone currently in the market, the Google Pixel comes fully integrated with the search engine giant’s most popular features. A built-in Google Assistant, long-lasting battery life, a camera that takes great photos in any light, and unlimited storage in Google Photos to save them all. We’ve been specialising in mobile phone gadget insurance since 1989. With more than 25 years’ experience in the industry, we have the necessary knowledge and expertise to care for your Google Pixel. Starting life in 1989, CUSC Foneguard was the first company in the UK to provide mobile phone insurance direct to the end user. Today, more than twenty five years later, we’re proud to be a specialist phone insurer, and we still draw upon the same values and dedicated knowledge that gave us our foundation. As gadget lovers, we understand the pure frustration of disconnection. We know that losing or damaging your mobile phone or tablet can feel like a disaster. However, with comprehensive insurance from CUSC Foneguard, you can breathe a sigh of relief that you will never be parted from your devices for too long. CUSC Foneguard is part of a group of companies responsible for insuring over 891,000 individual customers gathering a wealth of experience in delivering high levels of customer service and great value for money gadget insurance services. We believe in quick and pain-free claiming too, which is why all of our customer care teams are based in the UK, all in-house with over 13 years experience. As one of the market leaders in the Mobile and Gadget insurance Sector we believe that the customer should be able to purchase a product that gives them comfort in the worst eventuality. As such we provide unlimited repairs and replacements for a device. We pride ourselves on high levels of customer service, flexible, comprehensive and affordable insurance. Don’t just take our word for it though, take a look at some of our most recent reviews. Excellent product, superb price and features. Very easy to use website and information is easy to find. Very comprehensive policy that is excellent value for money. Much cheaper than product offered by Carphone warehouse. I have since added a 2nd phone onto my policy and received a discount for it. Great price & reviews. Covers a lot more than I expected. Accidents happen. But when they happen to your Google Pixel, our comprehensive cover gives you peace of mind and financial reassurance. If your Google Pixel is stolen we’ll not only replace it, but cover you against unauthorised calls when your device is taken away from you. We’ll cover your Google Pixel if an electrical or mechanical fault occurs outside of its warranty period. We know how much you love your Google Pixel, which is why we’ll always be here no matter how many claims you make. Airtime abuse can be a concern if your device gets stolen. Our insurance covers the cost of unauthorised calls made following the theft of your phone.